A slightly modified version of the 1924 model. Modifications are internal and are not visible. Produced as a commercial pistol at the Czech arsenal under German supervision, and later as a substitute military and police weapon during World War II. By 1942, all production was for the German air force; such pistols are marked “FNH.” Best guess is that over 500,000 of this model were produced for German military use. Both the commercial and military versions are illustrated. 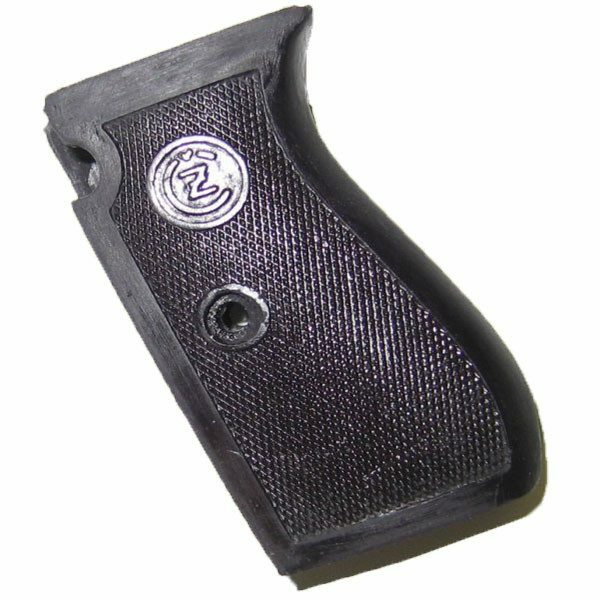 The model 27 was also made in small quantities in 380 caliber. 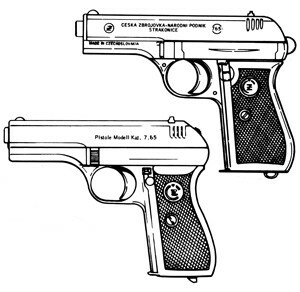 In 1945 the Czechs resumed manufacture of the pistol until it was discontinued in 1951.